At Lorenzo&apos;s Motors and Service Center, we offer the best in repairs of Japanese and European cars including BMW, Benz, Audi, Toyota, Mitsubishi and Nissan. Additionally, we also offer the best in chassis frame straightening, general servicing, body repairs, body spraying, engine diagnostic scan test, front end work, engine repairs and insurance claims estimates. Come and find us at 11 Queens Avenue (10). Managing the day to day operations at Lorenzo&apos;s Motor&apos;s and Service Center, which is a full service car sales and repairs center .We are also equipped with the Chassis frame straightening machines to restore your motor vehicle to it&apos;s original status when involved in an accident. Call 968-5611 / 495-0585 / 318-5969 at 11 Queens Ave, Kingston 10. The best way to stop an accident is to prevent it! 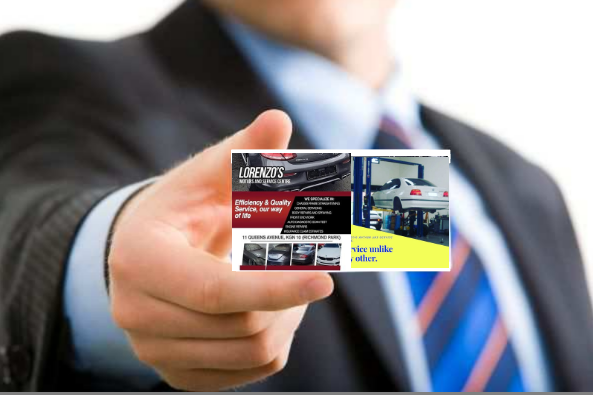 Call Lorenzo&apos;s Motors and Service Centre for all your collision repairs. 1. Don&apos;t drink and drive. 2. Always wear your seatbelt. 3. Always service your vehicle. 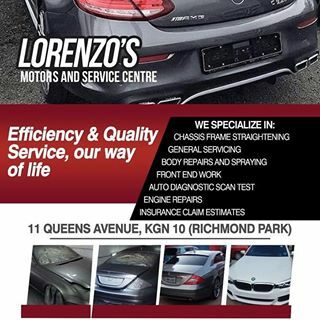 Lorenzo&apos;s Motors and Service Centre, for the best in collision repairs on high end vehicles.